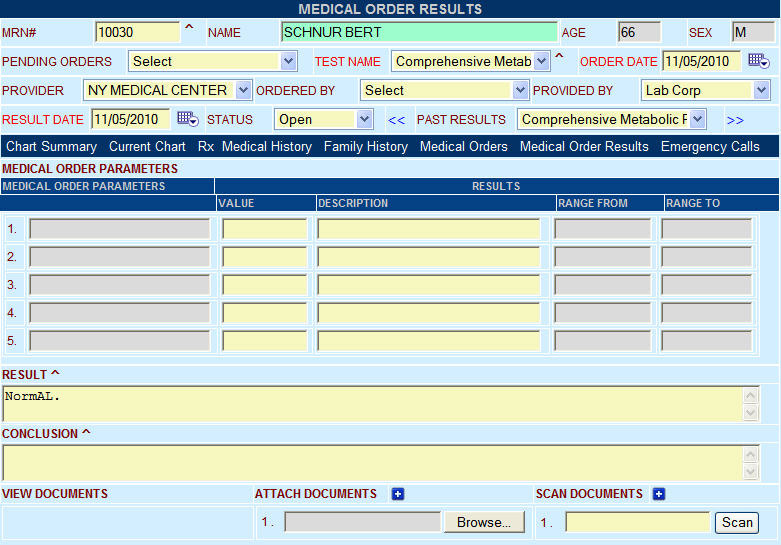 Enter/Scan/Attach Medical Order Results into Patient Record. Techdoc © Medical Order Results module allows the user to Enter/Scan/Attach the Lab Order results or the Referral Order Results into the Patient record. Medical Order Results module provides quick access to the Physician to Lab Results or the Referral Results to review it with the patient.